Riccione is one of the resorts of the Romagna Riviera that attracts many tourists during the summer. In addition to the beach establishments that are always full of services and attractions, and the streets of the centre that entice you for a walk, let yourself to be fascinated by the country villages, and discover the fun of the water parks. Santarcangelo di Romagna is an ancient town of medieval origin. The first settlements around the parish church date back to Roman times, until the development of the town in the current historic centre, which is dominated by the Malatesta Fortress. Santarcangelo is visited by thousands of tourists every year thanks to its famous fairs and monuments; the most famous are without a doubt Calici di Stelle, Festival degli Artisti, Balconi Fioriti and the fair of the Patron Saint. Along with the monuments let us not forget the Tuff Caves, a mysterious world under the old town. 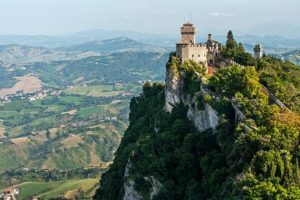 According to legend, the Republic of San Marino owes its origins to Saint Marino, a stone cutter from Dalmatia. It is easy to visit the historic centre of San Marino in just one day, enjoying the medieval atmosphere of this small capital to the full. Walking through the alleys and narrow streets of the old town you will come across some of the historical monuments of the city. Palazzo Pubblico, also known as the Government Building, which stands in Piazza della Libertà, the same square in which the so-called Statue of Liberty is located. Continuing on you can visit the Three Towers and the intriguing museums of the old town. 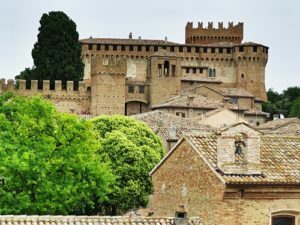 The Gradara Fortress and its fortified village are one of the best preserved medieval structures in the Marche and in Italy. The protagonist is the Malatesta Fortress, a witness to the love story between Paolo and Francesca, recounted in the “Canto” by Dante Alighieri. 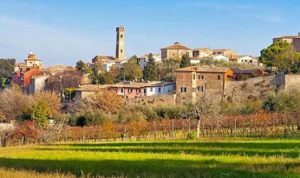 The old town welcomes you with its medieval atmosphere, where famous events are organized throughout the year, such as the Siege of the Castle and The Dragon Castle, the most magical Celtic festival in Italy dedicated to fairy tales and dreams. A holiday on the Riviera can become an ideal opportunity to enjoy a few hours of wellness in the Riccione Spa Centre. Four types of spa water that are classified as “sulphur-saline, bromine, iodine, and magnesium” are used in all the spa treatments. 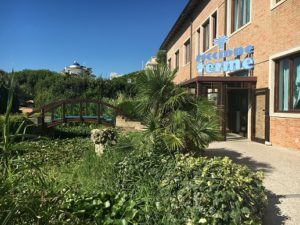 Riccione Terme offers facilities for therapy, wellness, entertainment and the organization of events. The huge water park in Riccione that delights everyone, adults and children alike. It’s impossible not to spend a fun-packed day on the many slides it offers. From the pool with artificial waves, the rapids you can descend on rubber rings, the twister, a descent along transparent tubes, and the kamikaze slide with a 90 m descent that reaches a speed of 70km / h. But that’s not all, music and shows for children are waiting for you! A journey discovering adventure trails and enjoying exciting encounters with nature is awaiting you in Oltremare. Numerous shows, original routes and friendly animals will take you back in time: from the Big Bang to the extinction of the Dinosaurs and the last ice age. 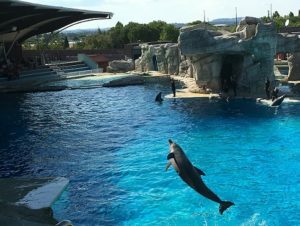 Dolphins darting and leaping will amaze you along with seahorses, needlefish, eagles, hawks and farmyard animals. 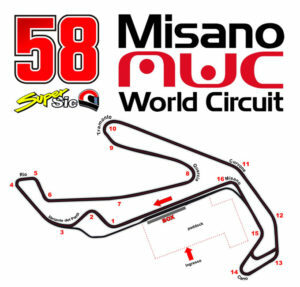 The point of reference for all motor enthusiasts on the Romagna Riviera is definitely the Misano World Circuit, the motorcycle circuit, located in Misano Adriatico. The racetrack was founded in the ’60s under the guidance of Enzo Ferrari, and began to host some Grands Prix races in 1980. Today it is active all year round and sees a succession of drivers of the most important world competitions performing, from Moto GP, with the Grand Prix of San Marino and Rimini Riviera, to the Superbike, up to Italian and international F.I.A. motor racing, and let us not forget the only Italian event of the European Truck championship, dedicated to really big trucks.